Ranthambhore Heritage Haveli located in the land of Tigers “Ranthambhore” Sawai Madhopur Rajasthan. The resort has been elegantly built in traditional architecture keeping in mind the natural surroundings and Rajasthani culture. At the Ranthambhore Heritage Haveli we are there to ensure that you receive the best comforts and good hospitality. 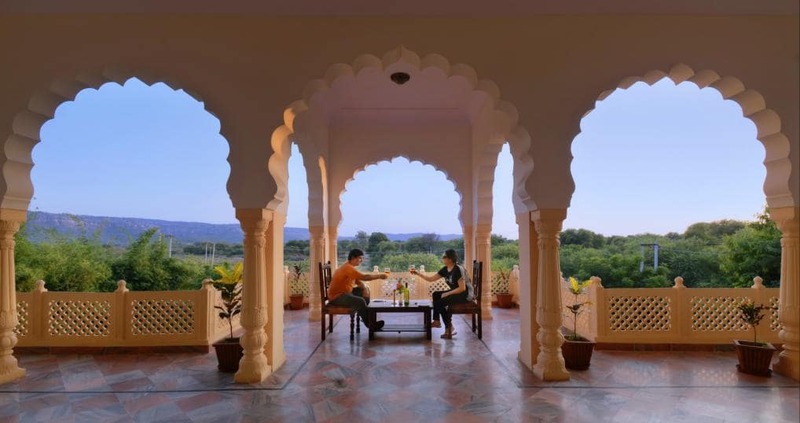 A beautifully designed attractive hotel outside Ranthambhore National Park. Very relaxing and peaceful and ideal for having safaris into the Park. The room was adequate with a large bathroom including shower. The restaurant was good with the food excellent and the staff at the hotel were the best as they were young, helpful and and sociable. WiFi is freely available in the Reception area. I would recommend this hotel and would certainly stay there if I returned to this area. I visited this haveli with my group of nine people all from London .it's a group ...all find this place very excellent rooms and cottages are very nice ..very nicely made infra. 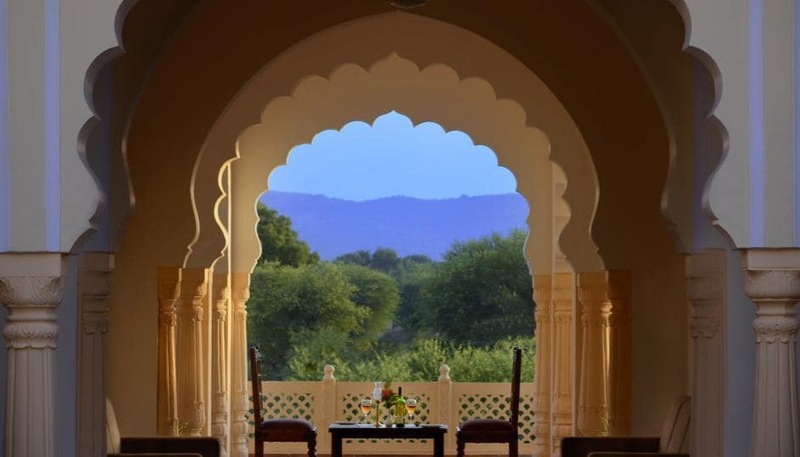 Food is always fresh and delicious all staff from front desk to kitchen are very friendly and nearly surroundings are the vilegers life so I made the most to see the real life of Indian villages nearby thus haveli .from the terrace very beautiful view. For leisure swimming pool I give 5*. Overall the hotel is a nice place to stay. Very conveniently located near the National Park. Only concern is the accessibility to the hotel, as there is no road to reach the hotel. Good food, good service with warm staff members. The hotel also assists in booking safari to the national park. We stayed 11 nights in this new hotel. We did 16 safari's and visited the fort. Nature is every day different. There are 10 different zones to visit in the park. We saw 7 times one tiger; and 1 time 2 tigers; and 1 time 4 tigers namely 2 adults with 2 cubs; and 1 time a leopard. Every safari there were many deers and antilopes, buzzards, kingfishers, 4 kinds of owls and many other birds. Between the morning- and afternoon-safari we enjoyed the swimming-pool, the cool drinks and the good lunch in the hotel. 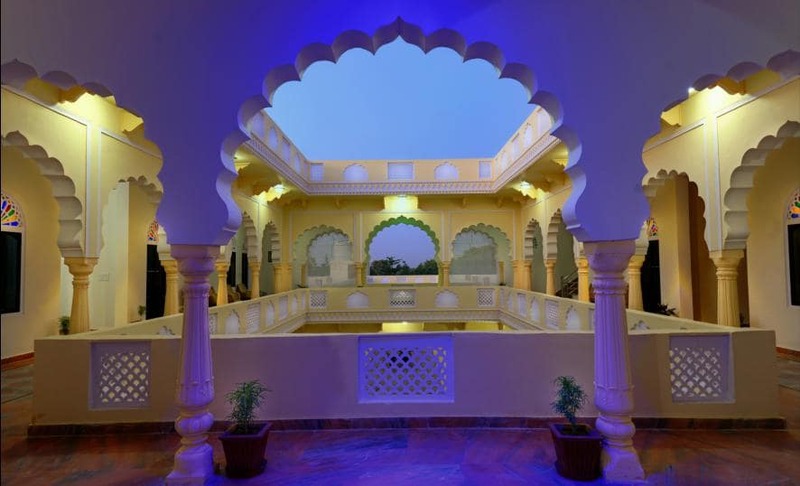 The hotel is build in characteristic Indian style; surrounded by beautiful gardens. Personal treatment felt like pampering. We shall come back.